Discussion in 'External Auctions' started by Domaining, Feb 14, 2019. 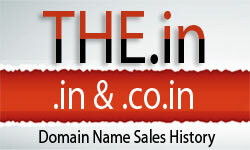 I have my domain name InternetGirlfriend.com in auction on Sedo. Please click here to be taken directly to the auction. Reserve price has already been met. Bid now before it's too late.